Stylish architecture showcasing a modern, professional environment. Selection of modern accommodation options with picturesque views. 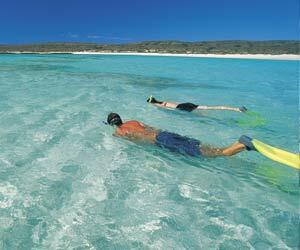 Any season is a great time to visit Ningaloo. 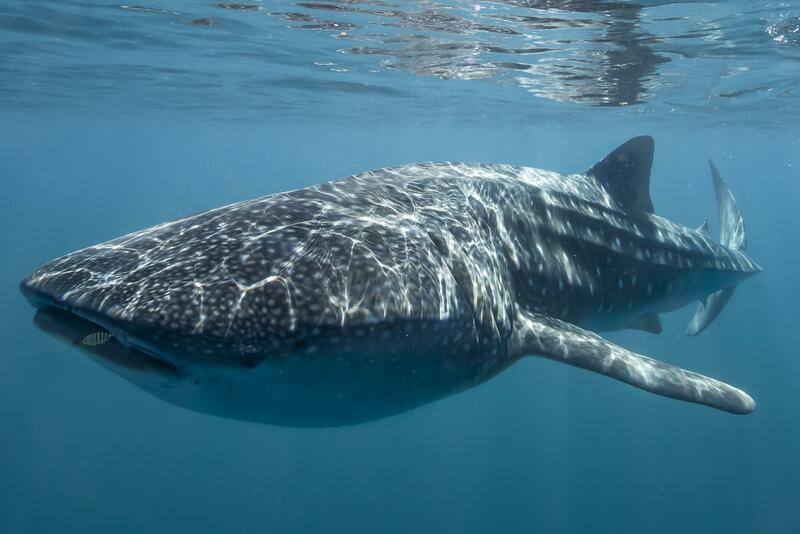 Swim with the gentle giants of the sea, the whale sharks (July - August). The perfect romantic spot for your dream wedding and unique honeymoon location. The only resort on the beach at Ningaloo. 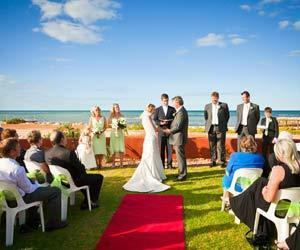 Ideal for families and couples surrounded by some of Australia’s best and World Hertiage-listed attractions. Imagine being up close and swimming with this amazing creature! Mantarays Ningaloo, the only resort on Sunrise Beach, is your gateway to the world heritage listed Ningaloo Reef and the Cape Range National Park. Guests can enjoy a relaxing holiday escaping the winter chill or an action packed holiday taking part in the many activities the region has to offer. Mantarays Ningaloo, in the Exmouth Marina, has 68 rooms, servicing the growing popularity of the nature based tourist destination. The deluxe development includes a range of hotel rooms and one and two bedroom self contained apartments and bungalows. Three bedroom apartments are available on request. The complex includes Gold Plate Award winning Mantaray's restaurant, bar, lounge, resort-style swimming pool and gym with stunning beaches right outside your door. Book a hot deal on accommodation and also select our special pre-paid buffet breakfast rate for only $20 per adult, per day (normally $28pp). Enjoy a relaxing resort holiday at the Mantarays Ningaloo and take advantage of the cheap airfare rates. If you’re flying from London to Perth, additional one way fares between Perth and Learmonth are starting from £35 plus surcharges, fees and taxes. The perfect romantic spot for your special day. Be at one with nature as you combine the best day in your life with a dream honeymoon location. Mantarays Ningaloo Beach Resort provides the perfect base for holidaying couples or families surrounded by some of Australia's best natural attractions. 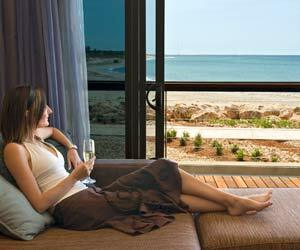 Treat yourself on your next stay at Mantarays Ningaloo Beach Resort. Our special offers can make your stay memorable.